Grand Opening happening now for Ballers Wings on Willow Knolls Road! 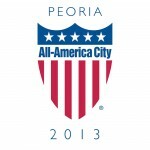 Welcome to Peoria! Glad we could help you find the perfect location for your business. Ballers Wings offers a great menu for a reasonable price. Menu includes Catfish, Burgers, Chicken Tenders, Nachos, Hot Dogs, Sandwiches, Salads, Kids Menu, and of course their famous Wings. Great for parties, especially The Big Game Parties! The owner of Ballers Wings is former Manual/Bradley basketball star Curtis Stuckey. Curtis is putting a portion of the profits from Ballers to a nonprofit creating programs for kids who don’t have the means to play basketball or have the adult guidance at home. Let's support Curtis and his new adventure. Order online at www.ballerswings.com or call 839-2089.